According to the Gulf Institute, up to 95 per cent of the holy city’s millennium-old buildings have been destroyed. The project, which began several years ago, aims to expand the al-Masjid al-Haram, or the Grand Mosque, to cater for the millions of pilgrims who make their way to the holy city each year for the Hajj, the pilgrimage to Mecca that all Muslims are obliged to make at least once. 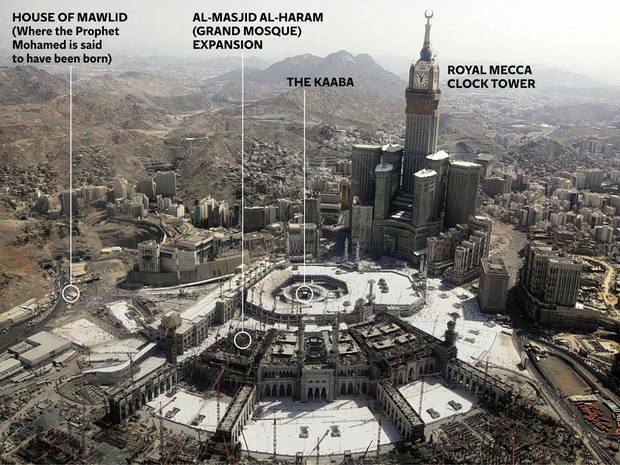 Mecca is the holiest city in Islam because of its link to the birth of the Prophet, and because it is the site of the Kaaba, a cube-shaped building made from black granite and said to have been built by Abraham. The Grand Mosque is built around it, and Muslims face towards it when they pray. Many have looked on aghast at the destruction of hundreds of historic buildings and monuments to make way for the Grand Mosque’s expansion. 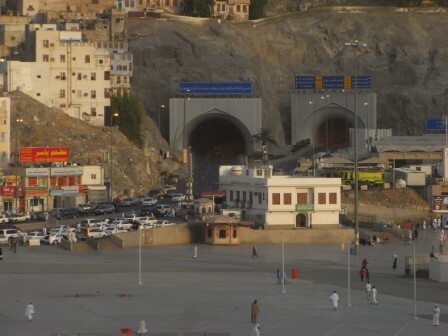 According to the Gulf Institute, based in Washington, up to 95 per cent of Mecca’s millennium-old buildings have been destroyed, to be replaced with luxury hotels, apartments and shopping malls. 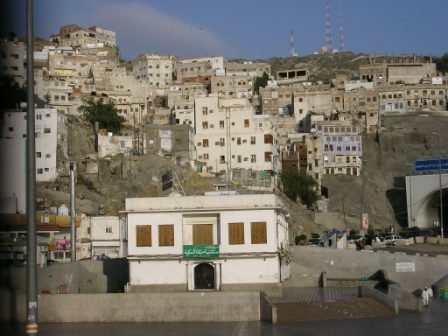 The destruction of historic sites was defended recently by Saudi Arabia’s Grand Mufti, Sheikh Abdul Aziz Bin Abdullah al-Sheikh. According to Press TV, Iran’s English-language news organisation, he said the demolitions were necessary and that the nation should thank the government for the work, which is increasing the capacity of the mosque. 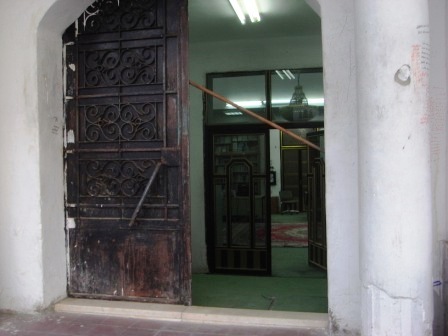 Dr Alawi, one of the few voices to publicly oppose the destruction, claimed that religious police are posted outside the library to prevent worshipping. “The site of the Prophet’s birthplace has again come under imminent threat of being permanently forgotten under concrete and marble,” Dr Alawi told The Independent. The Independent has made numerous attempts to contact the Saudi authorities for a comment without success. Rasulullah (S.A. W). Currently a small library is situated on this place. …inside, just to the right of the inner door sat two brothers…after discreetly taking this photo I indicated to them that I wanted to enter.Alhumdulillah one came to the entrance and was profusely apologetic and in broken English said that it was not his decision, but that of the Hukum that sisters were not permitted inside! to be honest i saw this news in Turkish and i wanted to share it so i found the original one... İnsha'Allah saudi doesnt plan to do this. and i totally agree. İ wonder the inside of it too. İts not fair if only man enters. We have the right too. They should make new rules regarding the enterance of the library. Sister Insha'Allah they dont do this..